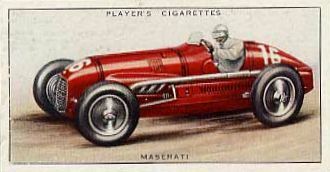 Covers all Maserati road cars from the A6 to the Kyalami, including early factory sales literature, Maserati engines information on many prototypes which did not make it to production. A beautifully produced and illustrated book devoted to Maserati racing history which includes many black and white and several color photographs. The book is divided into chapters covering the Tipo 26 of 1926 up to the Ghibli Cup. Foreword by Sir Stirling Moss. Covers the model range from the original Tipo 26 to the Tipo 122 Merak SS.